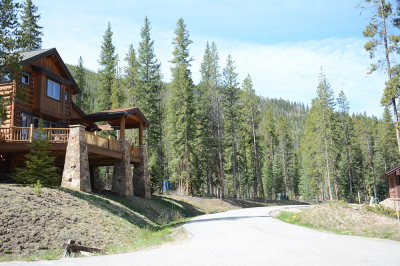 On the eastside of the Keystone ski resort are several pockets of single-family homes, a few townhomes and the historic Ski Tip Ranch - a former stage coach stop and the first ski lodge in the area. The Alders, and the new Dercums' Dash, are small single family subidvisions that maintain neighborhood trails from Keystone Mountain. These are strictly residential, and the only restaurant in the vicinity will be the restaurant owned by Keystone Resort at Ski Tip Lodge. Townhomes in this part of Keystone include Settlers Creek, Ski Tip Condos, River Meadows and the Alders Townhomes. Please read on to learn more about the beautiful East Keystone properties! 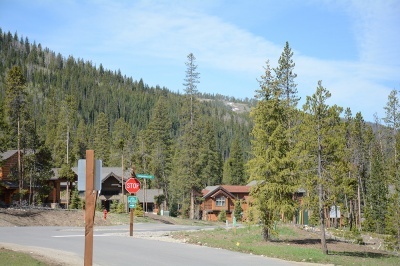 Settlers Creek Townhomes: Quaint, but closely connected to the resort via free in-resort transportation. These townhouses are spacious, great for large families, or groups. High-end kitchens - granite counter-tops and stainless steel - allow your parties to stay in. Amenities include in-unit laundry, outdoor pool and two hot tubs and access to Minnie's Cabin: a recreational cabin with billiard table, sitting area, fireplace and 60-foot flat screen TV. Trappers Crossing Condominiums are situated near the Snake River and the White River National Forest with easy access to ski lifts, village activities, restaurants, shopping and more. Are you interested in learning more about the East Keystone homes for sale? Take a moment to contact Breckenridge Associates online or call (800) 774-7970 or (970) 453-2200 to consult an experienced real estate agent.